Manage your Active Directory Users and Licensing with Ease. We have built a number of easy to user management tools using Powershell scripting, to integrate seamlessly with your Active Directory. You can control the existence and properties of users, folders, permissions, replications, resets, unlocks and much more, all from a convenient web interface. Many of the functions can be executed directly by the users with only a few clicks, eliminating many common support requests to the help desk or administrator in charge of user management. Our Custom Developed Modular Tools are designed to make management of Active Directory Users a breeze. Simply choose the modules you need and we’ll implement a custom deployment into your systems. Manage your Active Directory Users via a Convenient Web Interface. Our custom designed Windows Active Directory (AD) tools can be deployed into your business and can be securely accessed from anywhere via a convenient user friendly web interface. 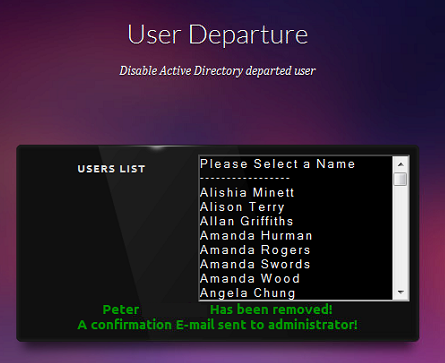 Create and Terminate Windows Active Directory users. Automate the many actions required to properly remove user access to business IT systems, including disabling user accounts, blocking user access, cancelling previous permissions, unsubscribing from groups and mailing lists and so on. Create Project Folders and Shared Mailboxes. Easily search current project folders, create new project folders, select and set folder permissions and assign and remove users. Simultaneously create shared mailboxes for projects in the automated web interface. Assign Exchange Licenses and set Distribution Lists. Simplify the assignment of Microsoft Exchange licenses to any users within your company. Generate Lists of licensed and unlicensed users. 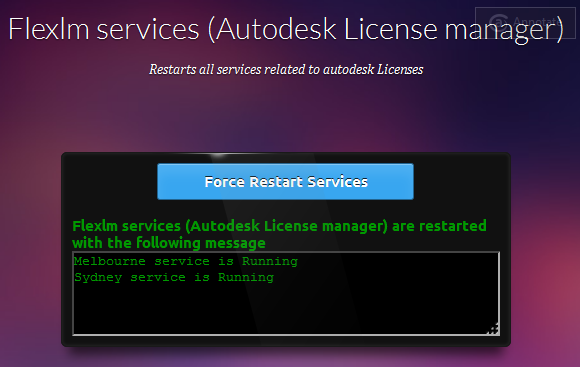 Remove or provide licenses to users with one click. Easily manage and control the current distribution and subscription lists of the company. Unlock Users and Password Reset Tools for Active Directory. Reduce employee downtime and the number of support requests to your IT helpdesk, by automating work-flow around password resets and locked-out users. Our tools provide these functions to the user via email, similar to most website lost password tools. Many more custom options available. Our Powershell programming experts can create powerful time saving tools for your business IT systems. From custom login scripts to forced Active Directory (AD) replication tools, we sure to find a way to save your business time and money. Customise your Deployment. 2 line summary. Ironline’s custom software License management tools make managing your users’ software licensing a breeze. For more information or to obtain a quote, please contact one of our account managers on (07) 3999 9899 or via email at [email protected] to see how we can help you and your organisation.